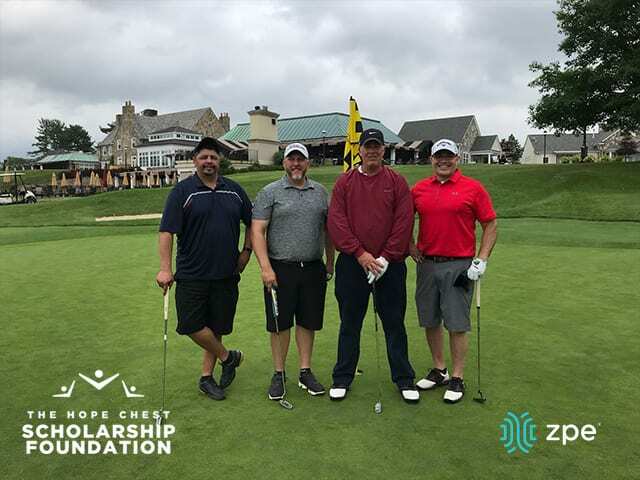 Team ZPE had the pleasure of participating in The Hope Chest Scholarship Foundation’s 18th Annual Golf Tournament and fundraiser in New Jersey. "Not only is it a great tournament, but it’s also for an even greater cause." said Tim Mitchell, Director of Sales Eastern US and Canada at ZPE Systems. "Being from the region myself and seeing what they’re doing for these students and for the community first hand is amazing… I can’t wait to be back!" The mission of the Hope Chest Scholarship Foundation is to serve as a bridge for NJ minority students in need of financial assistance to reach their educational goals. It is the vision of the Hope Chest Scholarship Foundation to plant seeds of financial support to help the next generation of business leaders, entrepreneurs, and inventors reach their educational goals. We are confident that the seeds planted will bear the fruits of increasing attendance rates, increasing graduation percentages, and the ultimate result – a visible and positive change in our society as a whole. Share the post "ZPE Participates in the 18th Annual Hope Chest Golf Tournament"